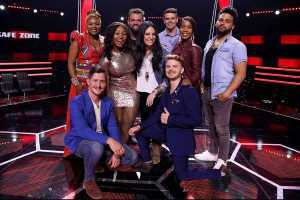 The Voice SA coach Riana Nel struggled to cut down her team to finalise her team of eight for the next round of The Voice South Africa Season 3 The Battles. On the Sunday, 14 April 2019 show she had to made some difficult decisions – and now it’s your turn to save the six singers she had to let go. Singer Riana Nel chose musical theatre actress Lelo Ramasimong (33) from Joburg; bubbly Siki Jo-An Owzi (25) from Port Elizabeth; 26-year-old Elisha James from Pretoria; 24-year-old IT developer from Richards Bay, Vuyisile Mdlophane; 23-year-old Ilan van Staden from Krugersdorp; and former Drakensberg Boys Choir chorister Francois Viljoen (30) from Pretoria. These six phenomenal singers joined her two Steals from the other coaches’ teams: supercool Tye Platinum (33) who picked Riky Rick at the Blind Auditions and Riana’s #TeamLIRA steal, Corneil Muller (32) from Bloemfontein. Meanwhile Riky Rick used his last allocated Steal to add the 38-year-old musician and carpenter from Mossel Bay, Shane Sonkind, to #TeamRiky. Unfortunately this meant that six singers were left in the #TeamRiana Danger Zone at the end of the episode. They are now relying on the support of the viewing public to keep them in them in the competition. The six talent who are part of the Strepsils Knockout Viewers’ Save this week are shy Felicia Seoehle (21) from Sasolburg; 27-year-old Verona Goslett from Meyerton; the 22-year-old actor, dancer, model, and singer from Pretoria Greunen Parker; 27-year-old Wade Bezuidenhout from Port Shepstone; the bubbly blonde from Pretoria, 20-year-old Layla Sky; and the guest house manager from Gordon’s Bay, Soné Joubert (27). 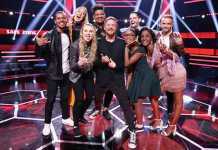 Here’s more on The Voice SA Season 3 Episode 11. First up to sing for a spot in the #TeamRiana Safe Zone was Vuyisile Mdlophane, the 24-year-old IT developer from Richards Bay, singing Whitney Houston’s I Wanna Dance With Somebody. “ My mind is blown”, Lira said of her performance, and Riana gloated about being the only coach to have turned for her in the Blind Auditions. “I’m so proud,” she told Vuyi, but still relegated her to the Danger Zone. Musical actress Lelo Ramasimong (33) from Johannesburg chose the powerful Kesha hit Praying with which to earn herself a spot in the Safe Zone. “Lelo, it was a pleasure watching you perform on stage,” said Riky Rick. Riana said she loved it. “You performed like this was your very last show,” she said, “but Lelo, this is just the beginning.” And with that, Lelo became the first member of #TeamRiana to make it to the Safe Zone. 20-year-old Layla Sky from Pretoria rehearsed her Cyndi Lauper and Celine Dion showstopper, I Drove All Night, so compulsively that her voice was tired by the time she got to work with Riana. But with a few pro tips from her coach she was ready on the night, and Riana said it was awesome to see her blossom on stage. But unfortunately she, too, had to cool her heels in the Danger Zone. Next up was the 38-year-old musician and carpenter from Mossel Bay, Shane Sonkind, with the Ed Sheeran hit A Photograph. LIRA commented that Shane’s performance was less guarded that he was in the Blind Audition, and Shane, moved to tears, said it was all due to his coach. “This was a huge leap that you’ve taken with this performance,” Riky Rick agreed. Riana sent Shane to the Danger Zone, hoping to save him later, but she gambled and lost, because Riky Rick immediately stole him for #TeamRiky. Siki Jo-An Owzi (25) from Port Elizabeth dedicated her song, Thandiswa Mazwai’s Ingoma, to her coach. “It was like seeing a queen, a beautiful figure of authority,” coach Francois van Coke raved, and Siki Jo-An was assured her spot on #TeamRiana. 27-year-old Verona Goslett from Meyerton chose to perform Stand By You from the indie-pop star Rachel Platten. Francois thought her performance was self-assured and confident, but she had to wait in the Danger Zone to learn her fate. “It’s getting tough!” a tearful Riana admitted. 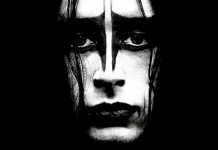 Next up was the 22-year-old actor, dancer, model, and singer from Pretoria, Greunen Parker, with the massive 2007 Mika hit Grace Kelly. “This is going to be weird for people, so if you’re going to do it, you’ve got to own it,” his coach cautioned. And Riky Rick did look a bit taken aback, but the audience gave Greunen a standing ovation. “You’re one of the only people who could pull off that song,” Lira told him, but unfortunately it wasn’t enough to secure him a spot in the #TeamRiana Safe Zone. Felicia Seoehle (21) from Sasolburg chose to perform the ballad Rockabye by British band Clean Bandit in honour of her mother, who was her inspiration to enter The Voice SA. Riana asked Felicia “just to sit there for a little while” in the Danger Zone. Soné Joubert, the 27-year-old guest house manager from Gordon’s Bay, brought the first Afrikaans song of the night, Andriette Norman’s Sewe Oseane, to show off her strong low register and also her falsetto. Riky thought that she was so at ease on stage that he encouraged her to “think out the box” and risk a bit more. “Be you, don’t be anyone else in the Afrikaans industry,” Soné’s coach agreed. “I’m going to have to send you to the Danger Zone,” she said regretfully. 26-year-old Elisha James from Pretoria chose the Alannah Myles classic Black Velvet, for his dad, he said, who is a big Elvis Presley fan. At this stage Riana only had two more acts left to perform, so Elisha had to wait to hear his fate. Meanwhile former Drakensberg Boys Choir chorister Francois Viljoen (30) from Pretoria took to the stage with Fools Garden’s Lemon Tree. And he too had to wait to learn his fate, as 23-year-old Ilan van Staden from Krugersdorp performed the Calum Scott ballad You Are The Reason. Sunday, 21 April 2019, sees the final KnockOut Round when Francois van Coke whittles down #TeamVanCoke. 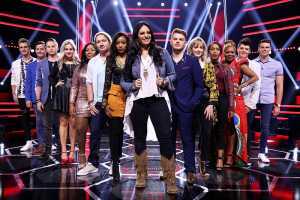 The Voice South Africa premieres on M-Net 101 every Sunday at 5.30pm and is repeated on VUZU, Channel 116, on Mondays at 8pm. 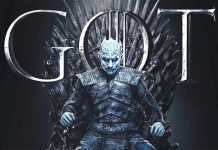 It’ll also be available on DStv CatchUp. Fans can visit mnet.tv and follow all the The Voice SA breaking news on Twitter @MNet / #TheVoiceSA and on the official M-Net Facebook page. Read more about the process of how to enter The Voice SA 2019.